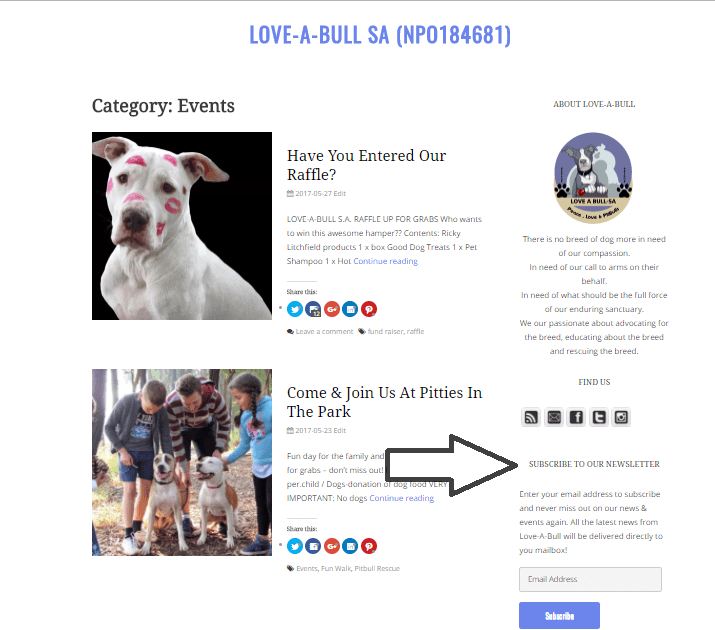 Happy Sunday everyone and welcome to the first weekly newsletter from Love-A-Bull on our brand new website! 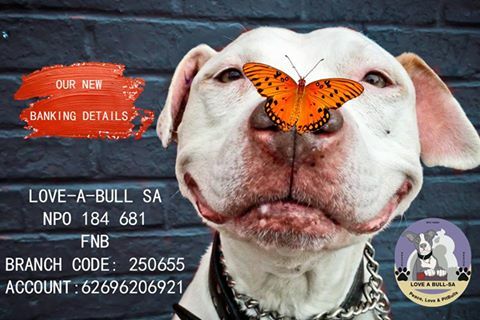 We are excited to bring you weekly updates of all our news, needs and Pit Bull tales. You can subscribe to our news via email and never miss out again. Enter your details in the subscribe section of our website in the right hand panel and all our news will be delivered directly to your mailbox! We have a number of fund raising activities on the go at the moment and really appreciate your support. As you may be aware, we are completely reliant on public funding, receiving no subsidies, to keep all our Pit Bullies fed, warm and healthy and with winter upon us, we have a huge need. So anything you could do to assist us is so appreciated. We currently have a raffle running, you can read all about it here. 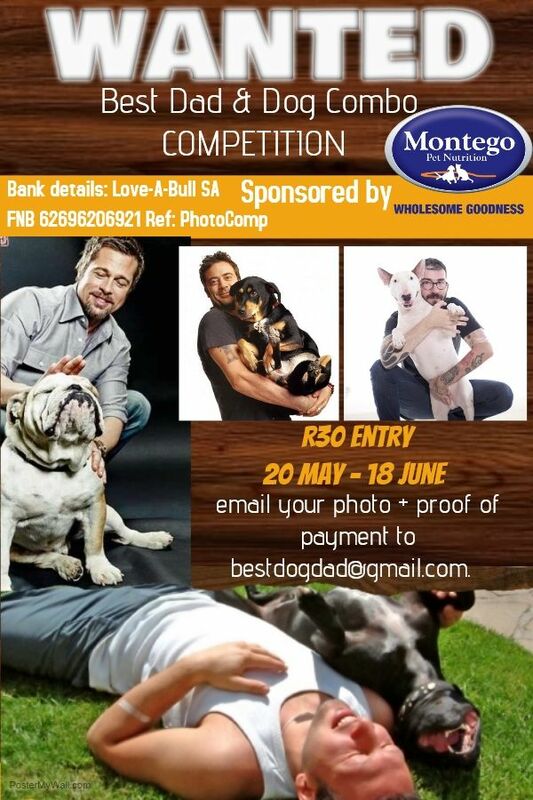 With June being all about the Dad’s and Father’s Day, we wanted to include our super special dog daddies too, so we’re running a fun Father’s Day competition too for all the dad’s and their furkids and we’re enjoying everyone’s entries. 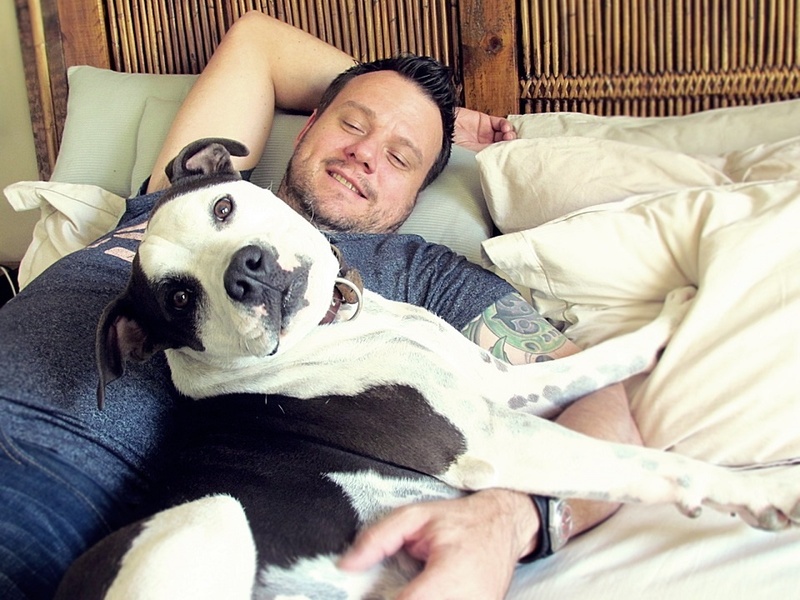 It’s heartwarming to see the special bond between dads and their dogs. Here is an example of one of the entries we have received, remember, ALL breeds of dogs welcome! Our next fun(d) raising event is on Sunday, 4th June, that’s next weekend and we hope to see you all there! Pack a picnic basket, bring the kids and your dogs (all breeds) welcome and come and enjoy a day of family and fur fun with lots of spot prizes to be won! 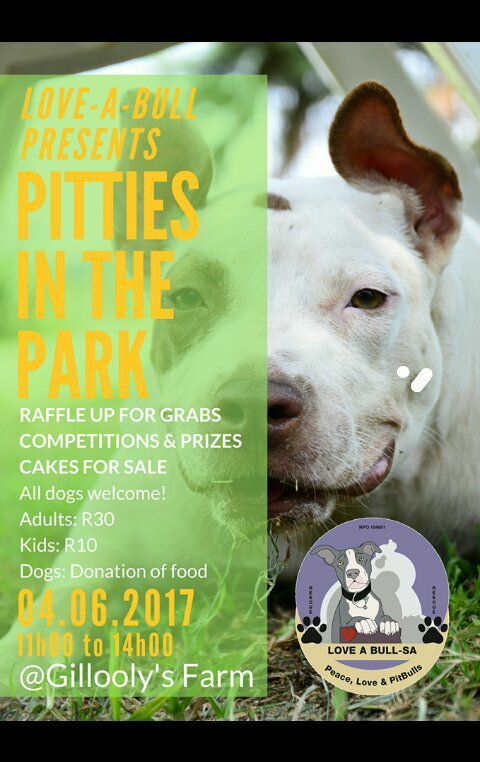 We are asking all our supporters to help with Matlosana Animal Shelter with donations for the Pit Bull’s they have rescued from a fighting. 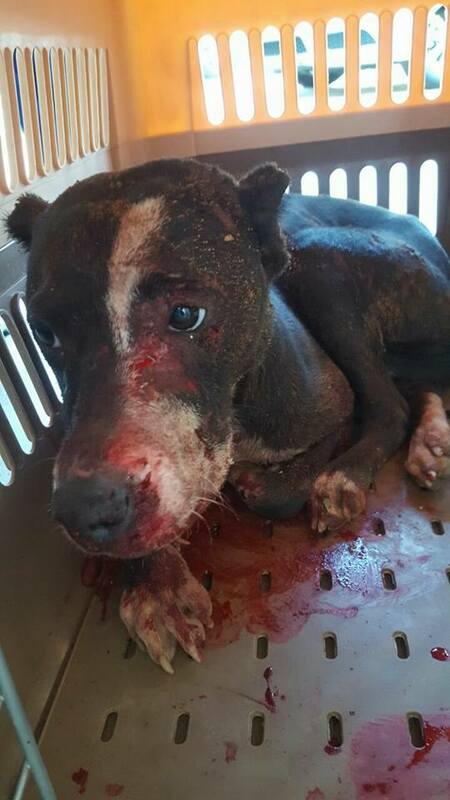 We are not 100% certain how this situation transpired, if this was organised dog fighting, but once these Pit Bulls have been stabilised, we would like to bring them to our facility, resource and space permitting, for rehabilitation and re-homing. Mango, who has been a LONG time resident of Love-A-Bull has been re-homed! We cannot tell you how happy this makes us that humans FINALLY came through for this beautiful girl. Be happy and live well beautiful Mango! We have a number of dogs who have been with us FAR too long and we’d LOVE to see them get homes and families of their own, they are so deserving of their own families and have so much love to give! 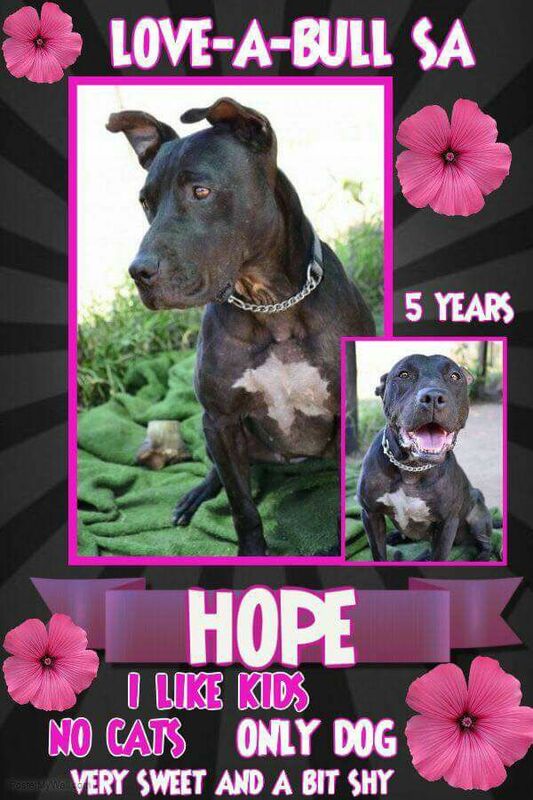 Meet Hope, she’s been with us for YEARS and has NEVER known a family of her own. She is great with kids but does need to be an only dog. She’s a REAL beauty! She loves kids and loves swimming but needs to be an only dog. 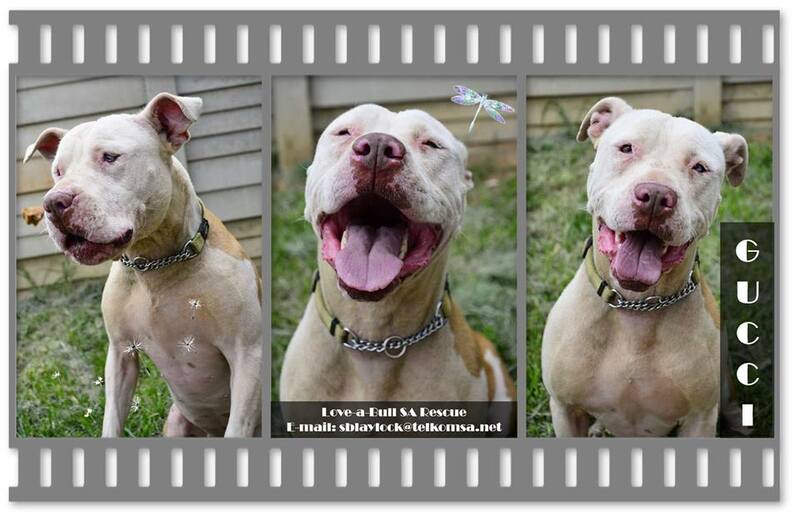 Did you know that you can also sponsor a Pit Bull if you can’t adopt one? 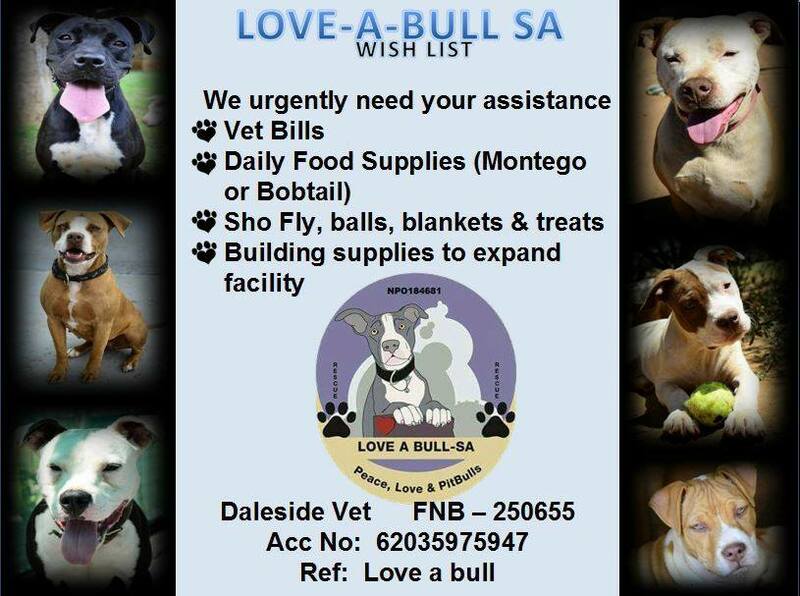 A sponsorship is R250 a month and all the monies go towards your sponsored dogs food and vet bills for a month. Please note that our banking details have changed. Remember to follow us on Facebook, Twitter and Instagram for daily update. If you have any thoughts, ideas or comments, please leave them in the comments section below and we’ll endeavour to get back to you asap. ← Previous Previous post: Have You Entered Our Raffle?